For those who have seen my story on acne which I shared 5 years ago. Guess what? It has not been a smooth journey for me. The past 3 years was another terrible episode where I experienced terrible acne, in fact, worse than what I had 7 years ago. This video is in partnership with iHerb as I’m going to share with you How Natural Supplements Helped with My Acne. If you have not heard of iHerb, it is a global leader in bringing the best overall value in natural products to their customers all over the world. iHerb guarantees that you will received the best overall value in the world for over 30,000 brand name natural products. I’m going to share a very personal picture with you, I’ve never shared this with anyone before as it wasn’t a happy phase in life, in fact, it was one of the darkest moment in my life where I lost my confidence. This picture was taken 3 years ago. At that time, I didn’t know what was going on. I didn’t know what was the trigger. I lead a healthy lifestyle and eat a well balanced diet. This wasn’t the first time and I knew it’s not going to go away in the next few week or months. At the same time, I knew I didn’t want to go down the road of taking medical drugs again. I have to be honest and tell you that I did visit the beauty centre and went through extreme pain from the exaction they’d put me through. It was a twice a month visit. 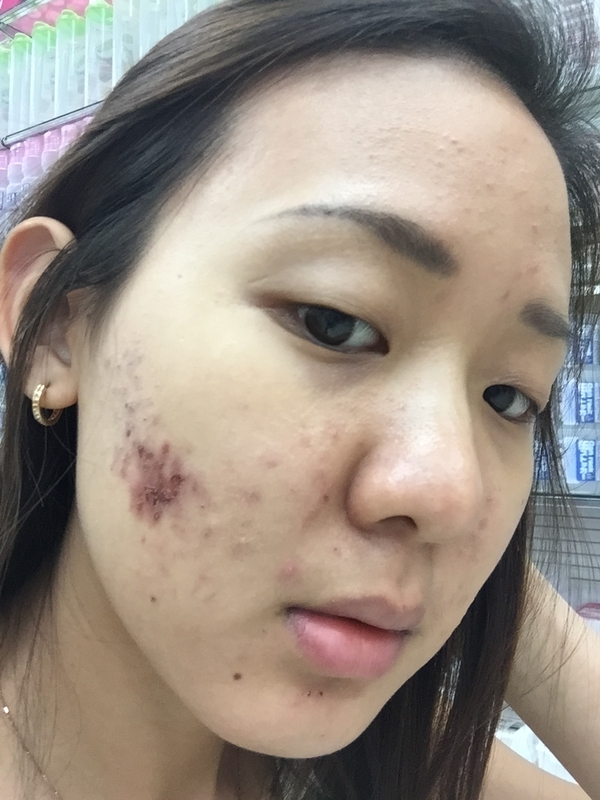 At some point, you felt like your skin got better, but then it’d flare up again and it’s the never ending cycle. Eventually I decided against treatment that’d be too harsh on my skin. That’s a selfie I took after my workout. It’s not easy looking back at those pictures. Early 2016 to early 2018. I’ve received so many comment from you all, asking me to share my skin routine. I just couldn’t share it. It was really tough, when you have to constantly film and supposedly look flawless in front of the camera, where in fact, you put lots of foundation on just to cover your acne. I remember telling me videographers to never capture close up shots of me. You’re totally aware that having makeup on will only make your acne worse, but at the same time, you don’t have the confidence to be in front of the camera or go out to events with a face like that. And then you wonder to yourself why am I going through this again? Yes, my skin has improved tremendously the past year, but the truth is, I don’t know if I ever have to go through another episode of really bad acne in my life again. This is me right now without any foundation on, just a little bit of eye makeup and lipstick. From trying different treatments and products for 2 years, I’m going to share with you my top 5 natural supplements, which has helped me through. I got all my supplements from iHerb because they offer a Triple Guarantee to ensure that their customers are 100% satisfied. As a California based superstore, they guarantee that all products are authentic brands sold in the U.S. market and is committed to providing quality assurance for their products and ship directly from climate controlled warehouses. Hence I’m fully aware that I’m only getting the best supplements for my body. The first product is Nature’s Way Fortify Dual Action Digestive Complete Probiotics and Enzymes. Ever since I was young, I’m aware that I have poor digestion. I suffer from IBS, bloating, gas and constipation very regularly. Even the smallest trigger whether it’s from food or even stress can affect my digestion. Your gut is also know as your “second brain”. So a poor gut health can cause havoc on your entire body and cause inflammation. In my case, it was my skin. No matter how well I ate, I knew that my body couldn’t fully absorb all the nutrients. By taking this probiotic and enzyme supplement, it has help me to balance my gut, allowing my body to digest and better absorb the nutrients from my food. As a result, reducing irritation of my skin. Food which are high in probiotics which you can include into your diet include, yoghurt, tempeh, kimchi, sauerkraut, pickles, miso, kombucha, kefir, natto, ACV. The next supplement is Nature’s Way ALIVE, Hair, Skin & Nails Multi Vitamin. Some of the vitamins and minerals which can help with your skin health include Vitamin A, C, D, E, K, Zinc, Magnesium and Selenium. This supplement has all these vitamins and minerals and more. Vitamin A has antioxidant properties which helps to reduce inflammation. It’s helped me to reduce the redness of my skin. When it comes to food, think of red and orange coloured fruits and vegetables such as carrots, sweet potatoes, red bell pepper, squashes and even tuna. Some spices are also high in vitamin A, including paprika, red pepper, cayenne, and chili powder. Zinc also acts as a powerful anti-inflammatory and antioxidant, hence achieving clear skin. Taking magnesium helps to fight acne that’s related to stress. I knew that I was also under a lot of stress, because that was the period where I started my own company and had lots to learn, do and manage. nuts and seeds especially pumpkin and sesame seeds - Roasted pumpkin seeds provide the most magnesium and zinc. A 1/4-cup serving offers 303 mg of magnesium, or over 70 percent of the RDA, and 4.2 mg of zinc, or 28 percent of the RDA. Second in line are toasted sesame seeds. A 1/4-cup serving offers 111 mg of magnesium and 3.3 mg of zinc, or over 20 percent of the RDA for both minerals. Selenium - Selenium is a mineral that actually preserves the levels of other antioxidants in your system. The next supplement is something we all should be consuming whether or not, you suffer from acne, fish oil, mainly for it’s Omega 3 Fatty Acids. Omega 3 is especially useful if you do suffer from hormonal acne, similar to mine. It helps to regulate acne causing hormones such as testosterone that trigger the overproduction of sebum. It is also a powerful antibacterial and anti-inflammatory, which can soothe spots. So we all know the benefits of Omega-3, but we often overlook the benefits of Omega 6 adding that into our diet. My next supplement is Nature’s Way Evening Primrose. Too much of omega 6, is not good, but it’s about finding the balance between having enough omega 3 and 6 in our body. The most significant attribute of evening primrose is that it can help with hormonal imbalances which cause acne. Evening primrose also helps your cells to rebuild and rejuvenate themselves, which can help to reduce the appearance of post acne scars. Foods which are high in Omega-6 Fatty Acids include Flaxseeds, hempseed, grapeseed, pumpkin seeds, sunflower seeds and acai. And the final product is something I apply onto my skin, Nature’s Way Hydraplenish, which is a hydration facial therapy. My skin type is dry, but at the same time, I can’t use those heavy cream type products, as it’ll only make it worse. I like this serum because it’s light, it keeps my skin hydrated and fresh, without feeling greasy. This product also contains Vitamin C. Vitamin C aids in the production of collagen. It can help rejuvenate your skin after a major acne breakout. So this has helped to brighten my complexion, restore my skin and reduce the appearance of my post acne scars. I like to use it immediately after toner, or sometimes, I’ll even use it over my makeup when my skin feels dry or tight. You can get all these products from iHerb. They guarantee delivery of your order and provide free or discounted shipping to over 150 countries around the world. If you’re living outside of the US, do check iHerb’s shipping methods to your country in the link below. This is my own personal journey of battling against acne. If you’re going through a bad phase right now, I know how it feels, I know how low you might be feeling, the fact is, we can’t cure it overnight, for some include myself, it took me years. Remember to constantly feed your body with nutritious food and supplements, stay active and look after your emotional health as well. I hope you’ll find this video useful. 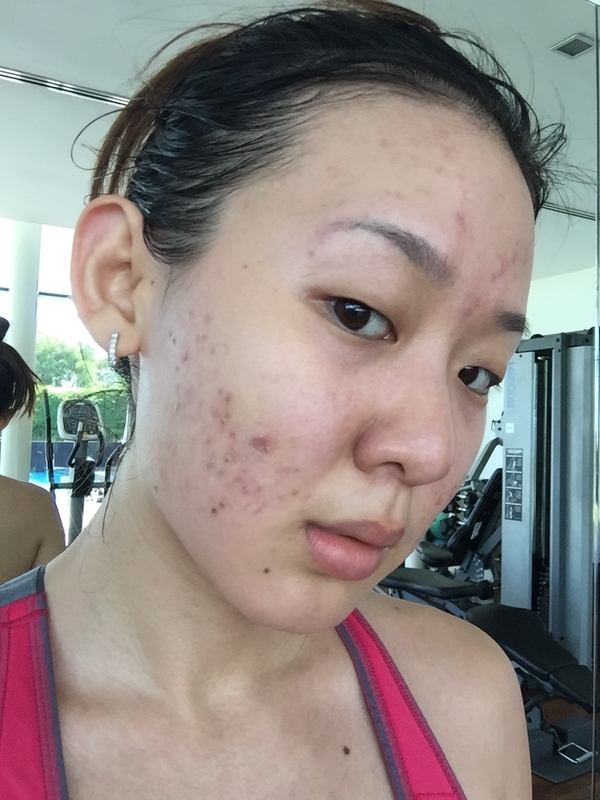 Do share your acne story with me in the comments below. Do also share this video with someone who might find it useful. All the best!